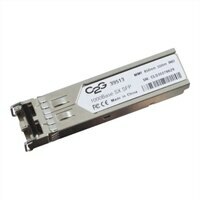 Generic - GLC-SX-MM Cisco Compatible 1000BASE-SX SFP Transc SW-30070 is compatible with Cisco products and is an equivalent fiber transceiver to the GLC SX MM. This SFP achieves a distance of 550m with a data transfer rate of 1Gbps. Generic - GLC-ZX-SM Cisco Compatible 1000BASE-SX-SFP Transc SW-30092 is compatible with Cisco products and is an equivalent fiber transceiver to the GLC ZX SM. This SFP achieves a distance of 100km with a data transfer rate of 1Gbps.